The United Way Campaign for the Common Good is mobilizing millions of people and organizations across the country to take action and improve the education, income and health of America's communities. With your help, and the support of our partners, we're bringing the expertise and resources needed to help young people reach their full potential. 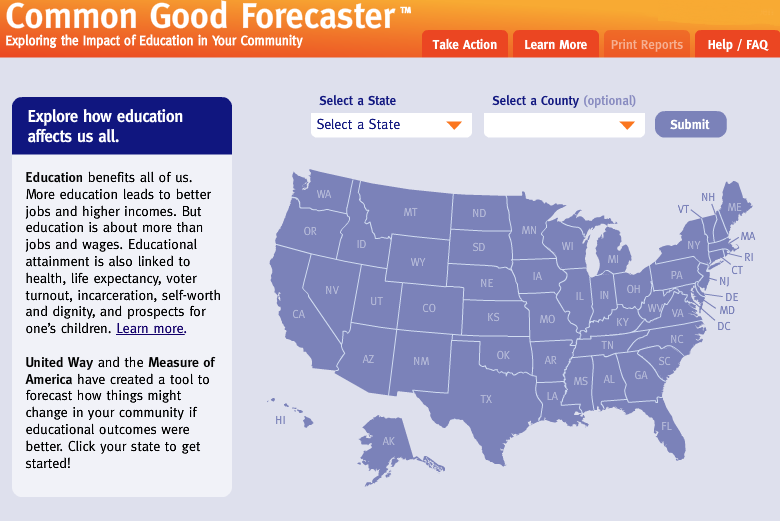 Click the image below for a tool to forecast how things might change in your community if educational outcomes were better.